The large rooms are covered floor to ceiling with paintings and metal artifacts. It’s a lot of fun to have two discretionary days a week to focus on doing things that feed my soul. With that as my mantra, I have been busily filling my Monday’s and Friday’s with trips that I’ve wanted to make for years. 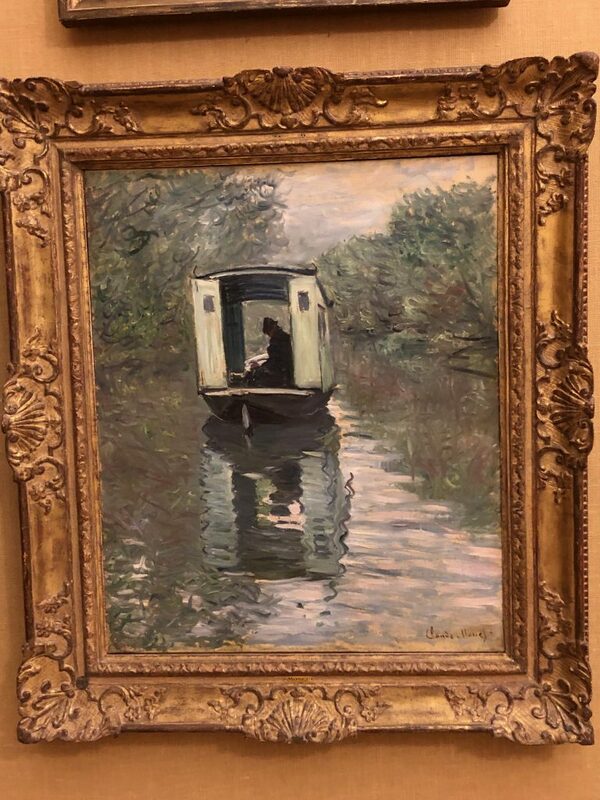 One of my recent days was a visit to The Barnes Foundation in Philadelphia. A benefit of making these trips on Monday’s and Friday’s is that there are far less people in attendance on weekdays and I get to have these places almost all to myself. 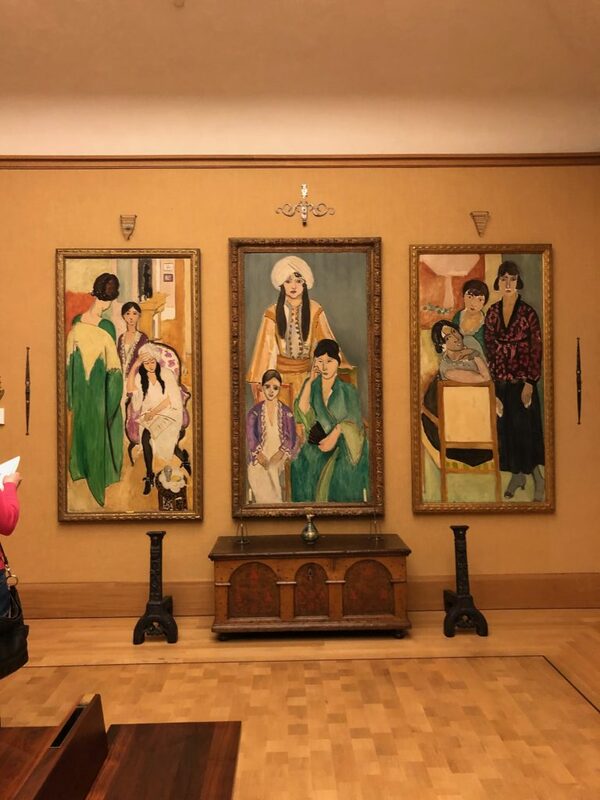 Year ago I had visited the Barnes Foundation in Upper Merion, and then there was the whole controversy about moving the collection, which apparently was causing a lot of traffic and annoyance (what with the tourist buses and tons of cars parking there each day) to the local Merion, PA residents. 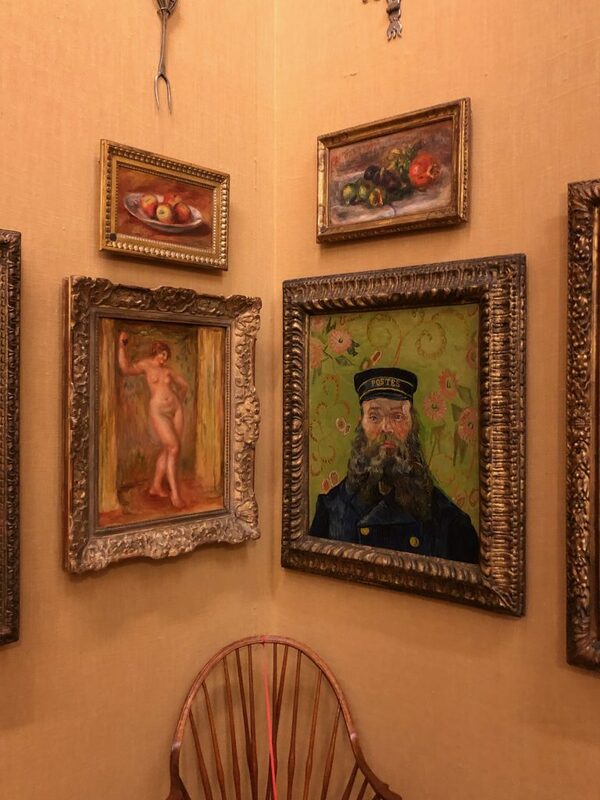 So, after a long and controversial battle, the collection was moved to The Barnes Foundation site in Philadelphia. 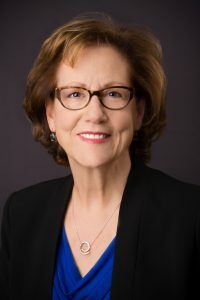 I wasn’t sure what to expect because when I went to the gallery when it was still in Upper Merion many years ago it was such an intense experience for me. I’m happy to say that the new venue has been created exactly in the same footprint as the original that Dr. Barnes himself designed, with all the same intensity and beauty of the original. It’s set up like a large mansion with about 20 rooms, each filled from top to bottom with paintings. 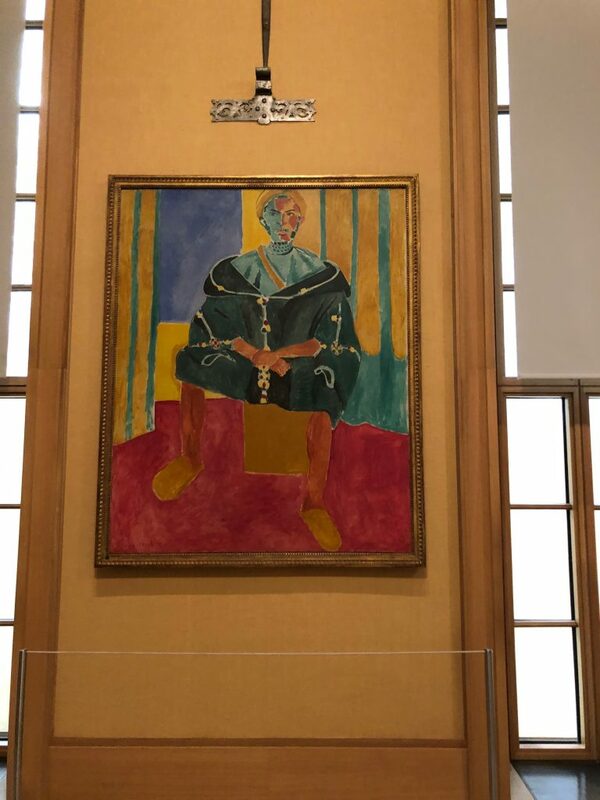 This beautiful Matisse is the very first painting you see on the wall across from you, as you walk into the first main room. I entered the very first large room and just stared around the room at the walls filled with paintings. There must have been over fifty paintings in that one room; paintings near the floor, all up the walls, above the windows, all crammed together in an apparently random fashion. It made my head spin, but it was breathtaking. What a stunning redhead she is! 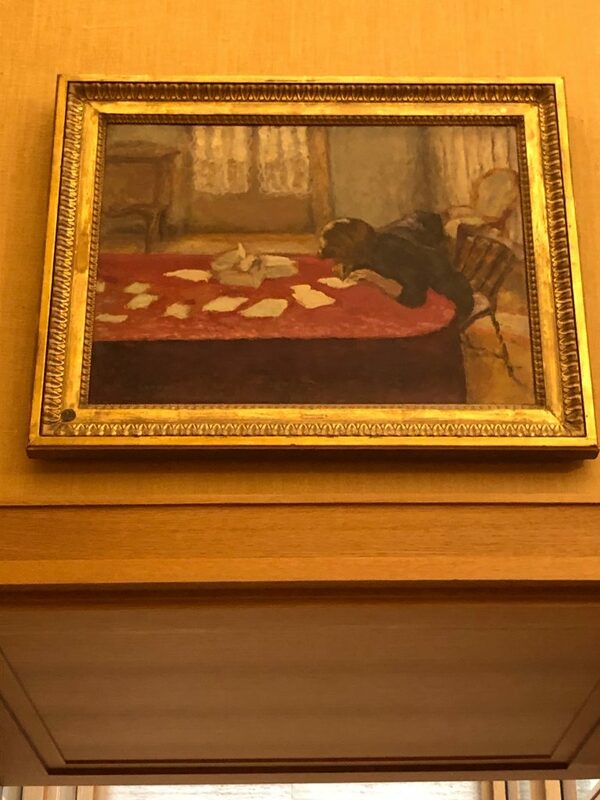 As I circled the room, I started to notice a pattern and rythm to how the paintings were laid out, and realized it wasn’t as random as I originally thought. Barnes would arrange them with a large vertical portrait in the center of a large wall, then place proportionate wide landscapes on either side, to frame it. Each was either by the same artist, or a similar artist within the same genre. There is also a vast collection of metal pieces which are placed around the paintings. When I asked the docent what the significance of these metal pieces was and why they were placed where they were, she said that each metal piece is above, or next to, a painting which has a similar shape and theme in it. These Matisse’s are just gorgeous. 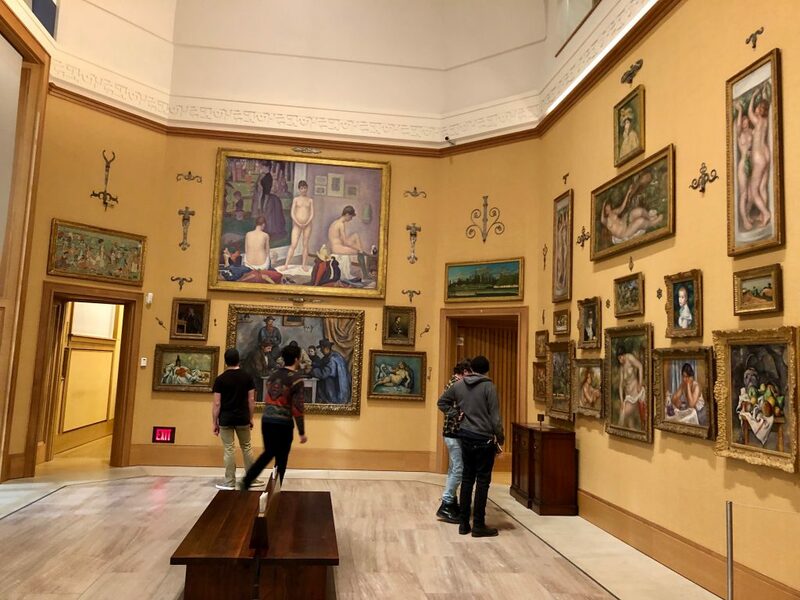 Most of the paintings are Impressionist; there are hundreds of Renoir’s, Manet’s, Monet’s, Degas’s, Van Gogh’s, Modigliani’s, Soutine’s and Picasso’s; a total of over 900 paintings. There are also thousands of other items, these metal pieces I referenced above, vast collections of African masks, etchings, sketches, sculptures and antiquities from China, Egypt and Greece. I’ve never seen this Van Gogh anywhere else in my travels. 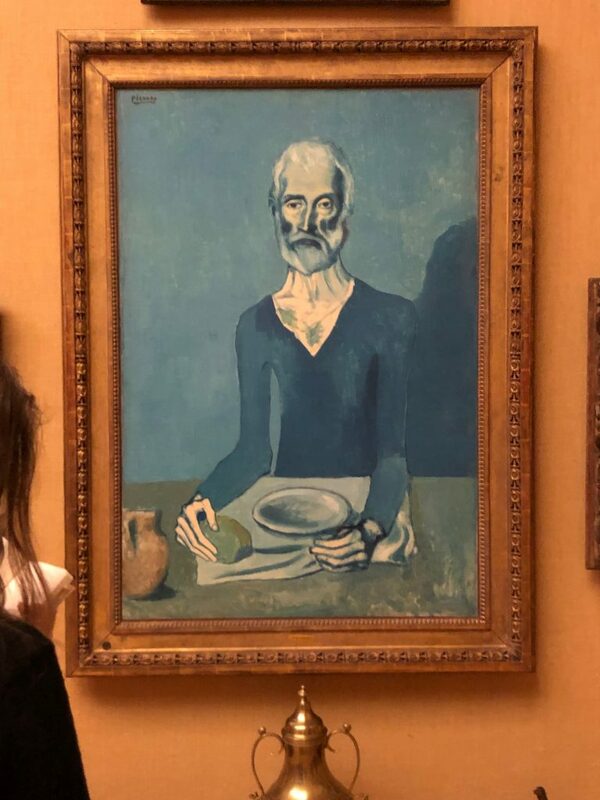 Haunting Picasso blue period painting. The museum is small, and you can see everything in about two hours. There’s a snack bar with good coffee and small sandwiches and snacks, as well as a coat room and museum shop. There’s parking directly outside as well as on the premises, although I was kind of flummoxed by the parking garage directions so just parked across the street from the museum right on the main road, where parking was easy and cheap and you can pay with that meterUp parking app. Actually, one of the things I’ve been enjoying on these trips is learning how to navigate getting to all the venues using all these iPhone apps that make life so much easier. When I was going into the city to the 9/11 memorial, I took the train and the subway, using my NJ Transit app for the train, and then my NYC Subway app to figure out how to get from Penn Station down to the World Trade Center. Such an idyllic Monet scene. Navigating city travel is so much easier now than even just a few years ago. Prior to GPS’s I had to use maps, or rely on my (terrible) sense of direction. Now, it’s all so much easier with these apps. 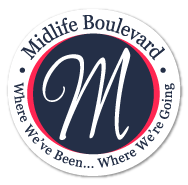 By re-embracing technology to help me navigate these venues easily and with minimal driving in and out of cities, I’m learning to rely on mass transit, much as my millennial kids do and it makes getting in and out of cities so much more relaxing. It also gives me the sense that I can still figure things out and that even as I get older, I can still be vital and active. A lot of what I’m doing with this whole soul-feeding search is to figure out what I’ll do when I ultimately retire. I’m not a person who likes to sit around watching TV or reading all day. I don’t like day-drinking, I don’t enjoy just sitting having coffee and lunch/drinks with the ladies it’s kind of boring to me, unless it’s interspersed with other mind enhancing activities. So these day trips are helping me see how I can craft a vibrant life once I retire, sometime in the next few years. Unusual piece of a woman writer. Now my retirement strategy is solid. I’ll break it out by seasons; in the winters I’ll do museums and indoor venues since it will be too cold to do much outdoors. In the spring, I’m planning day trips that include a lot of walking and hiking. In the summer, I can take beach trips and spend days at the shore without all the tourists and weekend visitors. And then in the fall there will be more outdoor venues, fairs, and day trips I’ll find to fill my days with. Voila! My retirement strategy is now finalized. LOL. I’m so obsessive and have to plan everything. Of course, this is all predicated on the fact that I’ll remain healthy and that the ugly specter of breast cancer doesn’t rear its ugly head again. I can’t really dwell on that. I need to just compartmentalize the constant background fear of recurrence and move ahead or I’ll become completely inactive and stymied. I did see the Barnes exhibit years ago in its original home. My thoughts at the time were that I thought that Barnes was a snob. I hope to get to Philly to see the exhibit in its new home. Maybe I’ll appreciate it more this time. Thank you for your view. And thankful for Barnes to have preserved this wonderful exhibit. You thought he was a snob? Why?! I think he had an eye for brilliant art, for a physician…..I don’t really know much about him as a person….maybe he was a snob. 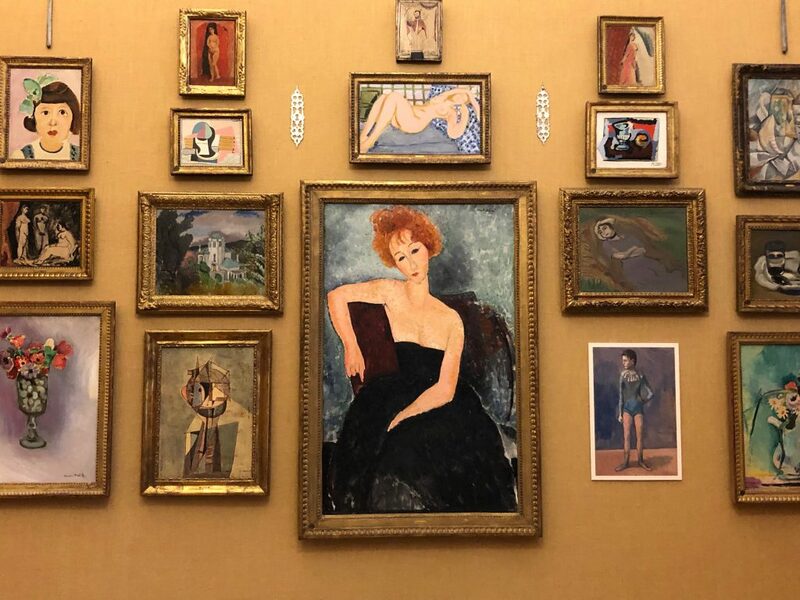 I loved that he had so many Matisse’s and Modigliani’s – they’re my favorites.